​Blake Bortles wants it to be known that he isn't the only one to blame for the Jaguars' struggles. 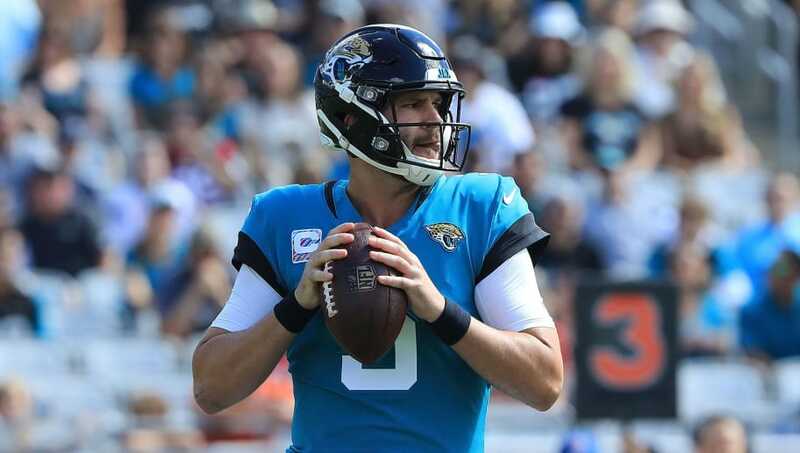 ​​While it may be true that ​Jacksonville's troubles don't just come at the hands of its quarterback, ​Bortles didn't have to explain himself in this way. Particularly when he hasn't held his weight on the team, he can't suggest that he's a scapegoat when what people are saying about him is true. Yes, it's a team game and the entire lineup is at fault, but Bortles has to accept responsibility as well. Now in his fifth year, Bortles has the most interceptions of anyone in the NFL during the amount of time he has spent in the league. ​​​​It's not all Bortles' fault, but it's not conducive to a winning atmosphere and won't win over any teammates if he wants to call himself a scapegoat.